What’s your favorite summertime cocktail? 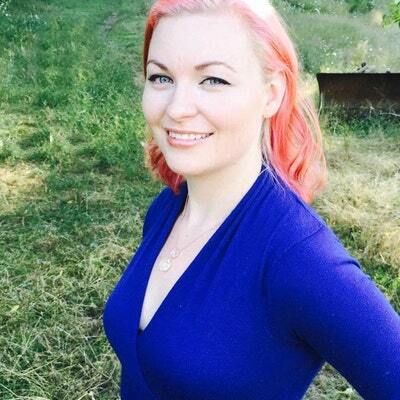 I’ve been having lots of fun this season mixing up some new alcoholic beverages. National Michelada Day coming up on July 12th and I thought it would be fun to put a new spin on this classic summer drink. Traditionally, a Michelada is a cocktail made by mixing beer with Clamato juice. 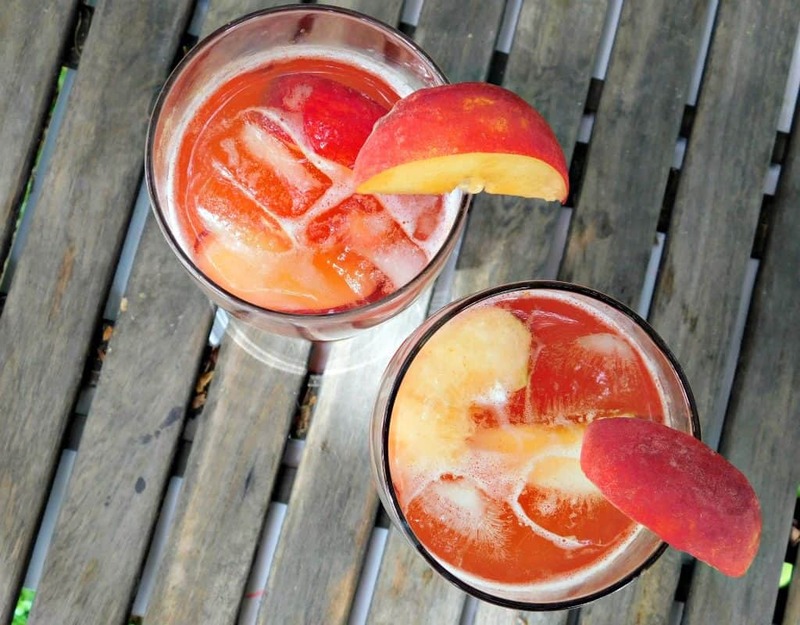 I’m mixing things up by adding some sweet flavor with peach puree and peach liqueur. 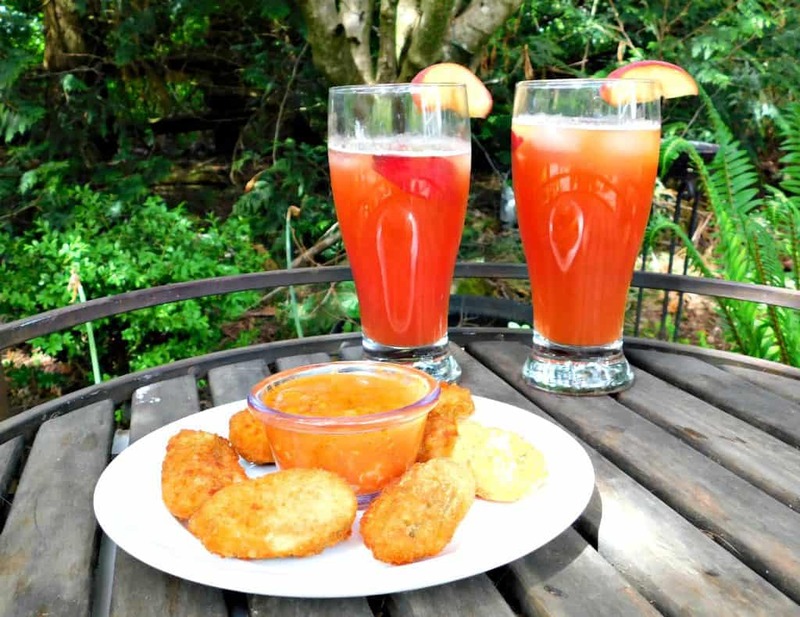 What snack food goes well with Peach Michelada’s? 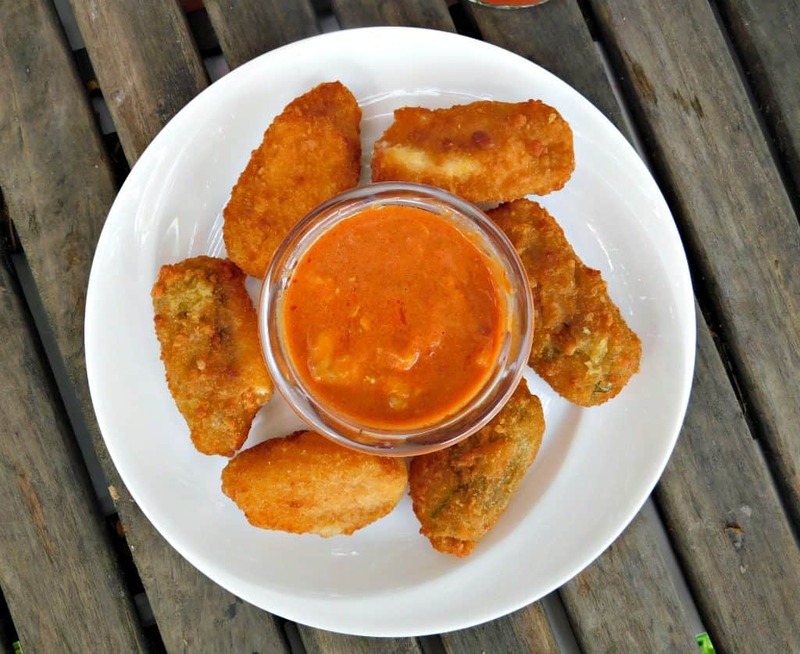 Jalapeno poppers! 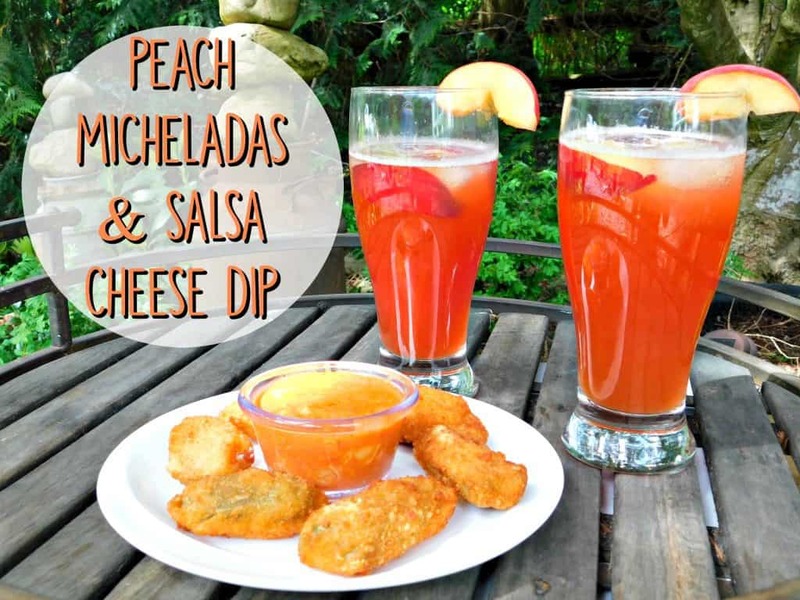 In addition to the Michelada recipe I also have a recipe for salsa cheese dip. It’s cheesy and spicy, just like the poppers. I picked up all my ingredients at Walmart. 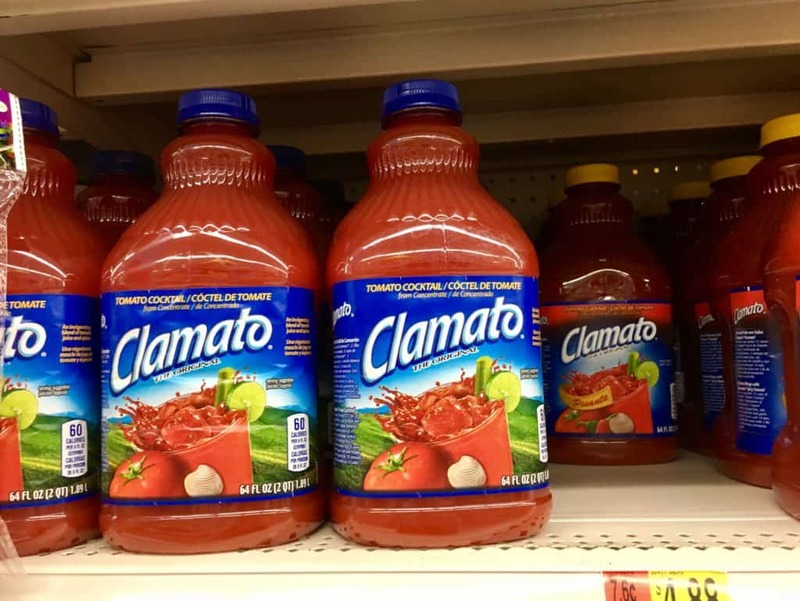 The 64 ounce Clamato juice is available in the juice aisle and the jalapeno poppers are available at the deli. Start by making the peach puree. Take 2 sliced peaches, peel the skin off and puree them in a blender. Then, mix with the rest of the ingredients and pour in two glasses. Mix ingredients in a microwaveable bowl. Microwave for 30-45 seconds and then stir. Serve with jalapeno poppers. How are you celebrating National Michelada Day on July 12th? 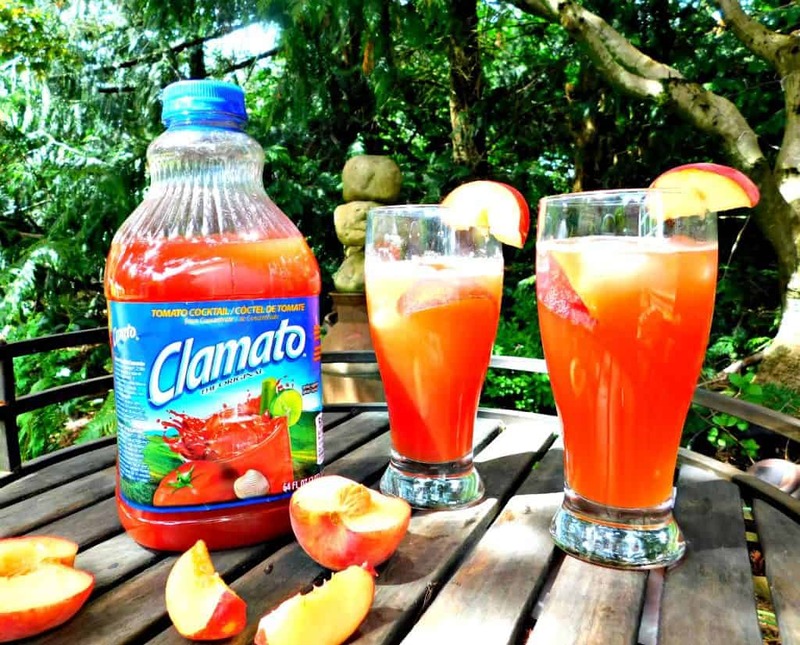 Let me know in the comments and make sure you pick up a bottle of Clamato juice at Walmart to get the party started and grab some snacks from the deli to pair with them while you’re there! You can also head to the My Michelada Match website to check out other great Michelada recipes and pairings! Looks amazing! I want to try this! Thanks! It’s really yummy ?